Many Destiny fans were elated when Activision announced that a sequel to the 2014 hit game was in the works, and that it would be hitting shelves in September this year. And although some were not thrilled by the fact that character gear and upgrades won’t carry over to the new game, Destiny 2 does look like it will feature better characters and story, plus also a welcome sense of humour which was lacking in the earlier game. And aside from releasing a spectacular reveal trailer for the game and a humorous teaser, Activision also revealed the different editions of the game that will be available for purchase come September 2017. 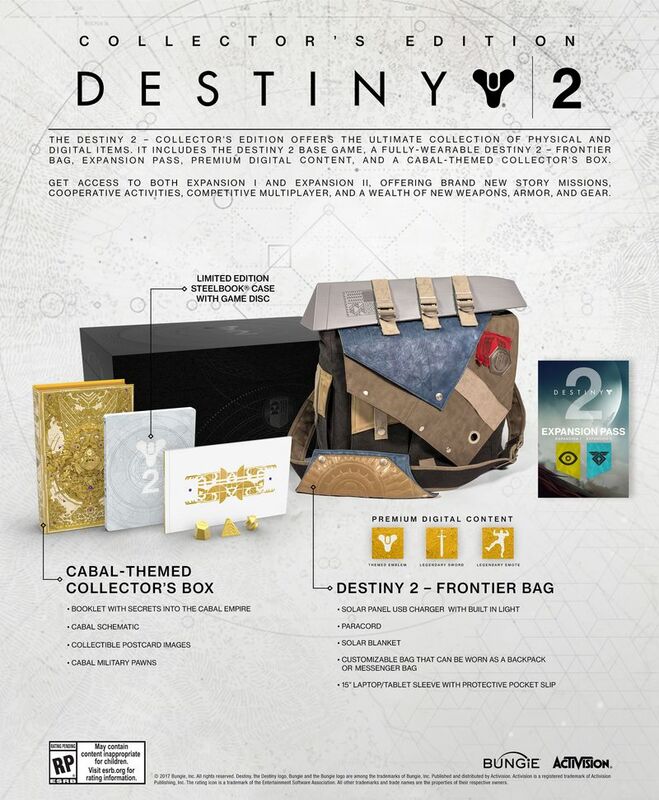 These include the Collector’s Edition, which includes every item featured in the other editions, plus additional physical items that will surely be highly sought after by Destiny fans. The Collector’s Edition will retail for $249.99 in the US, and will include the base game and its Expansion Pass, which grants access to two upcoming add-ons for the game which developer Bungie plans to release after Destiny 2 is out. 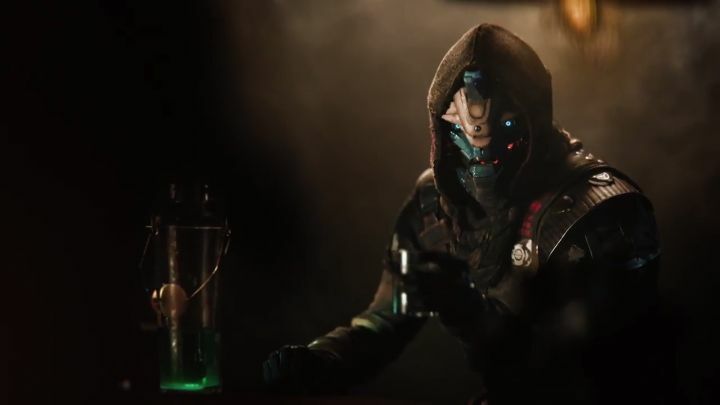 This will surely be a boon to those who enjoyed the original Destiny and its expansions, and are looking forward to playing Destiny 2 and the extra missions and other content featured in the sequel’s expansions. There will also be three digital items included in the Collector’s Edition, one of which will allow you to slice and dice your enemies in style (the legendary sword). The two other digital items are a legendary emote and an emblem styled after the ruthless Cabal Empire, the main antagonists in the Destiny 2 campaign. But those who prefer physical items they can touch and feel will be happy to know that the Collector’s Edition will also include a steelbook case with the game disc, and a Cabal-themed collector’s box. This box includes a series of interesting items like a booklet revealing more information about the nefarious Cabal Empire, an schematic, collectible postcard images and several military pawns. Those who enjoy on-the-go activities will likely also appreciate the “frontier bag” included in this Collector’s Edition as it can be worn as a backpack and also includes a sleeve fit for a 15” laptop or tablet. This also comes with a solar blanket and solar panel USB charger, something that will surely please the eco-conscious (see image below). Although those players who are not into video game collectibles can also go for the less glamourous Digital Deluxe Edition, which also includes the digital bonus items and steelbook case. But if one thing is clear, is that Destiny 2 surely is one of the most eagerly awaited games of the year, and hopefully won’t disappoint fans and newcomers to Bungie’s sci-fi universe when it’s released this fall. Note: Destiny 2 will be released on September 8, 2017. Available on PS4, Xbox One and PC.